Please take a look through the set of photos my friend Ben took on his recent trip to Dali, one of my favorite cities in all China. 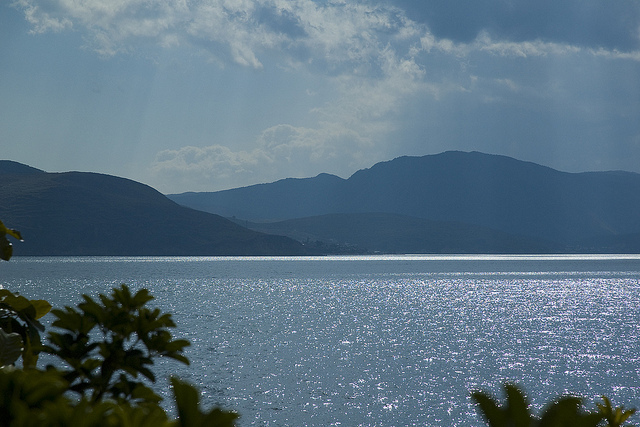 What is it about Yunnan that makes life so peaceful? It’s next to impossible to imagine what it was like on the ground at Hiroshima when the atomic bomb fell on August 6, 1945. But what if the blast had been ten times more devastating than it was? Utterly inconceivable. There is no way to visualize it. And yet the Tangshan earthquake that tore the coal-mining city into rubble on July 28, 1976 was equal in magnitude to 400 Hiroshimas. In the 23 seconds that it lasted it killed about a quarter of a million Chinese and left only about three percent of the city’s buildings standing and usable. James Palmer, in his wonderful book Heaven Cracks, Earth Shakes, brings the calamity to life. The 23 seconds of the earthquake were probably the most concentrated mass of destruction humanity has ever known. In Tangshan alone it did more damage than either Hiroshima or Nagasaki, more damage than the firebombing of Dresden or Hamburg or Tokyo, more damage than the explosion of Krakatoa. It took more lives in one fraction of northeast China than the 2004 tsunami did across the whole Indian ocean. 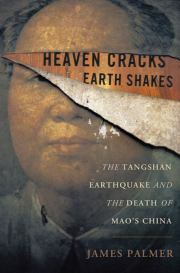 The full name of the book is Heaven Cracks, Earth Shakes: The Tangshan Earthquake and the Death of Mao’s China. The earthquake is at the epicenter of the story, but it is framed by the story of the end of Maoism and the rise of Deng. The cracking of the heavens is the fall of Mao’s China. The earth’s shaking is literal and figurative, of course. Nothing shook China like the Tangshan earthquake, or the political upheavals that would follow it only a few short months later. No year was as pivotal for China as 1976. The Cultural Revolution was dying; the public was sick of the empty sloganeering and endless denunciations and rallies as the Chinese economy worsened. Zhou Enlai’s death in January and the huge nationwide outpouring of grief was a signal that the Chinese were thirsting for change. Millions came to mourn Zhou in huge demonstrations in Tiananmen Square three months after his death. The masses were restless. It scared the Gang of Four to death. The Chinese people were exhausted. Most of them hated the Gang and wanted a return to sanity. They no longer had any confidence in their government. On top of this, everyone knew Mao was in poor health. China seemed on the brink of a precipice. And it was. I’ve been lucky enough to meet James Palmer on several occasions (I still need to return a book he leant me in 2004) and I can safely say he’s about the most brilliant person I’ve ever known. No exaggeration. His panoramic knowledge of history and literature has never failed to amaze me. This is the first of his books that I’ve read and its scholarliness and meticulousness do not surprise me. What James does that I found most impressive was to crunch the history of the period, from the start of the Cultural Revolution in 1966 through the ascension to power of Deng in 1978. It is difficult to jam so much information into so little space and keep it from reading like a Wikipedia entry. James has a talent for telling a story that is brimming with facts, names and events that reads like a thriller. I read the entire book in two days, and felt I learned more about this brief period than I had from countless articles and more than a few books. Your blood will boil as he recalls the murders and suicides, beatings and torture of the Cultural Revolution. This story is nothing new to anyone who bothers to read this blog, but Palmer manages to zero in on its very essence, giving us more than enough specifics, facts and figures to bring the period to life. He makes it seem so effortless, but this must have been painstakingly difficult to write. His thoughts about Mao and all that he wrought mirror my own. They are not good thoughts. The earthquake itself is sandwiched in between the story of gathering political unrest in the spring of 1976 and the death of Mao in September. Palmer made several trips to the site of the catastrophe and interviewed survivors. He tells how when the earthquake struck at three in the morning people who were lucky enough to be practicing tai qi outdoors or farmers up early to head to market with their products had a far better chance of survival than those sleeping in their beds. Luckiest of all, surprisingly, were coal miners working the late shift deep under the earth. Only seventeen of the 10,000 miners at work died. The stories of horrifying deaths and inspiring heroics make the book a page-turner. So much went wrong. It took days for the PLA soldiers to arrive; they had to travel largely on foot, as the railroad lines had been ripped apart. When they did arrive, they were as exhausted and hungry as many of the survivors. The government arrogantly refused offers of foreign aid that could probably have saved thousands. Citizens whose sole crime was trying to get some food from the granaries to keep from starving were shot as looters. The soldiers, at great risk to themselves, pulled thousands from the rubble. But sheer chaos reigned for the first few days. There was no leadership. no one to turn to for counsel. What to do about a broken limb with no doctor within a hundred miles? How to get a bull driven mad by fear back behind a locked gate? How do you move a broken bedstead out of the way to reach a trapped child when the bedstead may be the only thing holding up the mound she’s buried under from collapsing? With the well blocked, where’s the nearest source of clean water? The unluckiest, as always, were the victims in the countryside. Tangshan was a major coal-mining center. The government had only one concern, to get the mines back in operation and to rebuild the city so business could be performed as usual. Those in the countryside simply didn’t matter. Practically none of the food and other aid that poured into the city made it to the rural villages. With all the tales of heroism and sacrifice, Palmer notes that the story People’s Daily featured on its front page was of a cadre who, despite the shouts from his thirteen-year-old daughter to help pull her from the rubble of their home, ignored her (and his son buried alongside her) to dig out a local party chairman who lived nearby. The article praised his political commitment, noting approvingly that he ‘felt neither remorse nor sorrow’ for the death of his children, but had sown ‘a willingness to benefit the majority at the expense of his own children’, which was an example to everyone. As thrilling as the descriptions of the earthquake are, it was the political side of the story that most gripped me. Palmer takes us to Mao’s deathbed and lets us know just how much of a shrew Jiang Qing was (not that I ever doubted that). He paints the Gang of Four as spectacularly incompetent and out of touch with the Chinese people, and we feel delighted to read of Hua Guofeng setting the traps leading to their arrest. We learn of the challenges the doctors encountered as they tried to pickle Mao’s corpse for permanent display. The public mourns, but their sorrow never comes close to what it was for Zhou. People wanted Maoism to come to an end. Although mention of Deng himself is relatively brief, it is clear that after Mao’s death he had come to clean up Dodge, and immediately set the stage for a whole new Chinese mindset. For all his mistakes, he was what China needed at that moment, and he took control with his characteristic competence and shrewdness. I can’t recommend the book strongly enough. I knew next to nothing about the Tangshan earthquake and now I can picture it in living color, and I can hear the moans of trapped survivors. Even if you know China’s history of the period, James casts it in enough of a new light to make it fresh and enthralling. It is not a fun read, although James injects plenty of wry English humor where appropriate. Beautifully written, meticulously researched, full of suspense and drama, Heaven Cracks, Earth Shakes belongs on the shelf of anyone who wants to better understand China at its most critical juncture in modern history. PLEASE NOTE: This site has been hacked by our favorite commenter. I apologize for all the damage done yesterday. For a while I’ll be moderating all comments on a one-by-one basis so please bear with me, as comments may not appear for a few hours after you post them. The last one may have been the strangest ever. To my sockpuppets and mischief-makers, I know how you work. Or talk about anything else. A gentle reminder: If you try to impersonate other commenters or play games as in the last thread, you’re out forever. Because this is an open thread, no time for a new post. Can we make it kinder and gentler than the thread directly below? President Hu Jintao has said that China must strengthen its cultural production to defend against the West’s assault on the country’s culture and ideology, according to an essay in a Communist Party policy magazine published this week. The publication of Mr. Hu’s words signaled that a new major policy initiative announced last October would continue well into 2012. The essay, which was signed by Mr. Hu and based on a speech he gave in October, drew a sharp line between the cultures of the West and China and effectively said the two sides were engaged in an escalating war. It was published in Seeking Truth, a magazine that evolved from a publication founded by Mao as a platform for establishing Communist Party principles. “We must clearly see that international hostile forces are intensifying the strategic plot of westernizing and dividing China, and ideological and cultural fields are the focal areas of their long-term infiltration,” Mr. Hu said, according to a translation by Reuters. “We should deeply understand the seriousness and complexity of the ideological struggle, always sound the alarms and remain vigilant, and take forceful measures to be on guard and respond,” he added. “The restriction on cultural activities makes it impossible for China to influence literature and cinema on a global basis or for us culturati to raise our heads up proud,” Han Han wrote. That really says it all. You never stimulate creativity by limiting what your citizens can think, say and do. This is an open thread. Feel free to comment on this article or anything else. I’ll be busy with my China project the next few days.